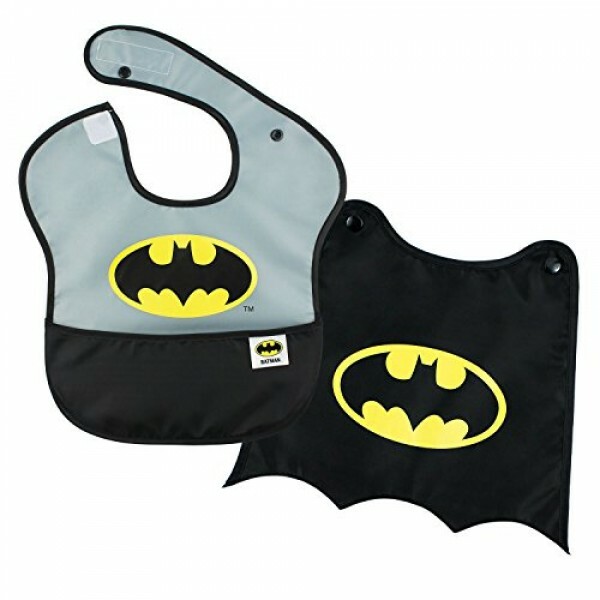 Spills, drips, splats: this looks like a job for the super bib -- with a cape for added fun! Bumkins' lightweight, easy wipe bib is both comfortable and durable and have a handy catch-all pocket for containing spills. The bib measures approximately 10" across and 9" from neck down, making it suitable for both babies and young toddlers. Plus, it's BPA, PVC, vinyl, phthalate and lead free. For more products featuring Batgirl, visit our Batgirl Collection.